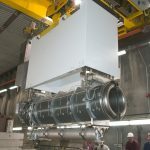 After more than a decade of running, on June 29, the Main Injector Neutrino Oscillation Search experiment and its second iteration, MINOS+, concluded their runs. MINOS was the first of its kind at Fermilab, a high-power experiment that shot a beam of neutrinos through two detectors spaced hundreds of miles apart. Neutrinos are tiny, abundant neutral particles that rarely interact with matter. By solving some persistent mysteries of neutrinos, scientists are working to answer questions related to the abundance of matter in the universe or stumble onto new territories in physics beyond the Standard Model. 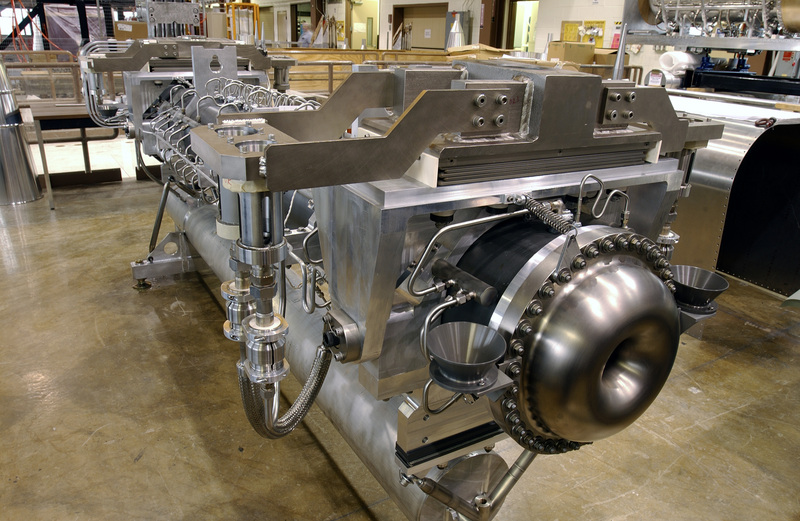 Over the course of their runs, MINOS and MINOS+ made significant measurements related to neutrino oscillations, a phenomenon in which one flavor, or type, of neutrino switches to another. 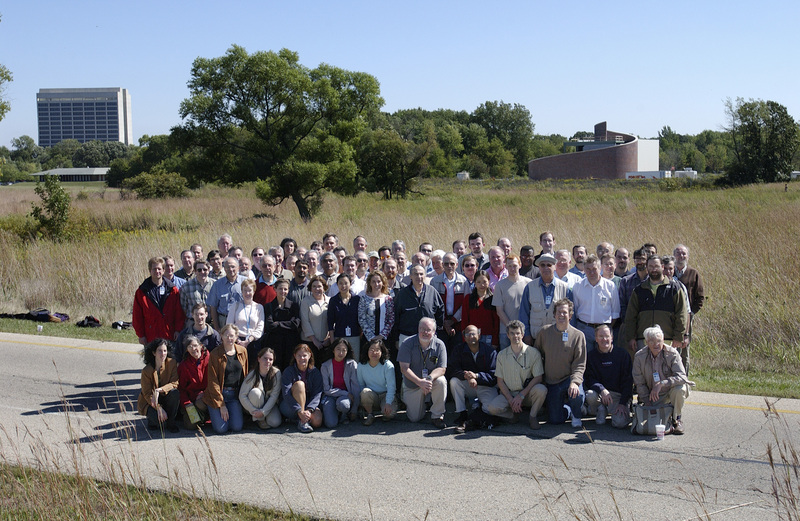 MINOS’ efforts helped pave the way for new neutrino experiments at Fermilab and elsewhere. 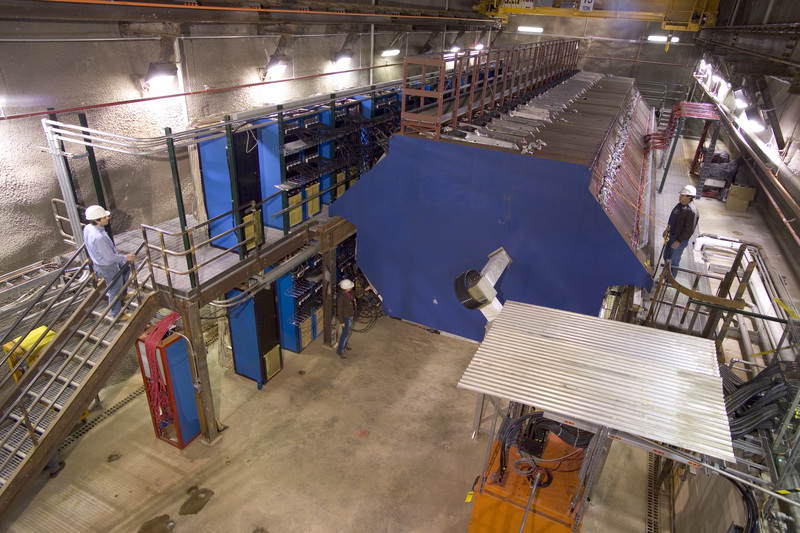 MINOS fired a beam of muon neutrinos — one of the three neutrino types – from a facility at Fermilab through the MINOS near detector, also located at Fermilab. 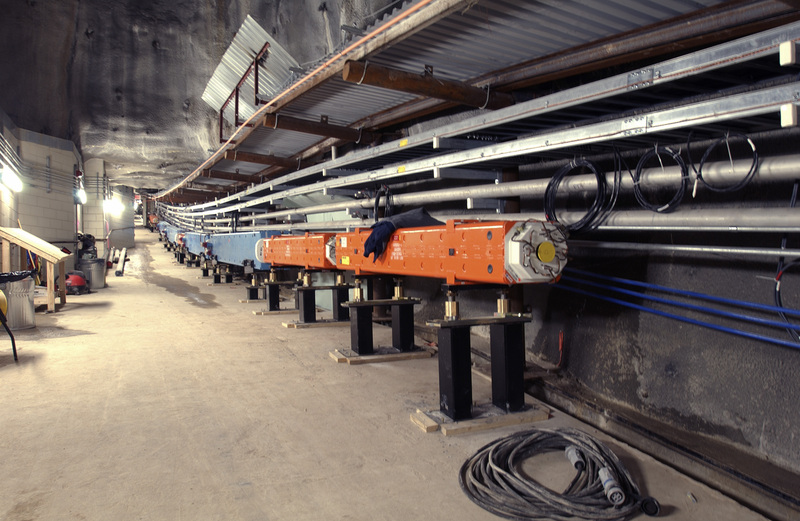 The beam then traveled 450 miles underground to a far detector in northern Minnesota. 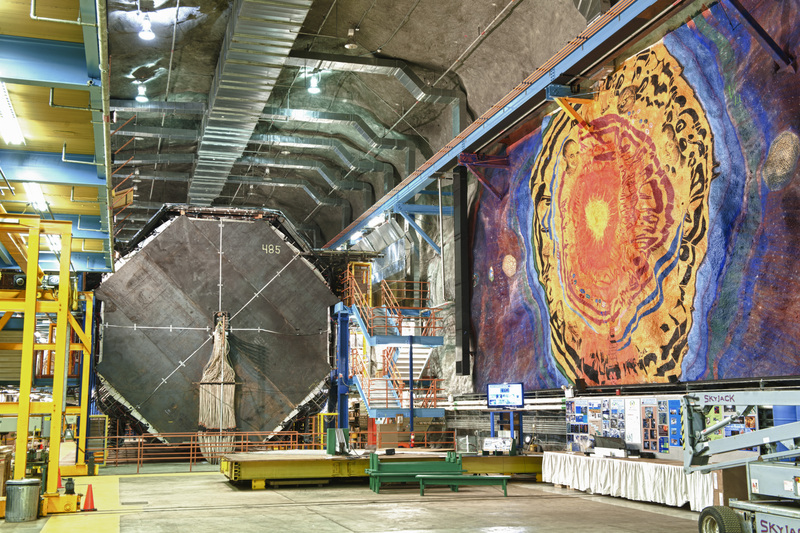 The MINOS collaboration measured and compared the number and energy of the neutrino events in the two detectors to study how the muon neutrinos morphed into other types. 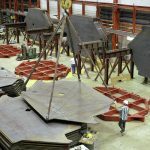 MINOS’ closure comes as a suite of other experiments are coming online or beginning construction. 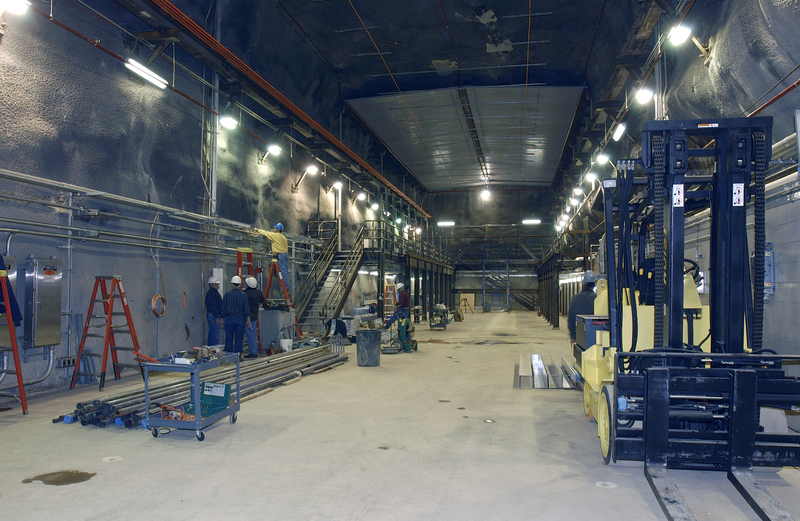 The NOvA experiment is Fermilab’s current flagship neutrino experiment and was designed as the successor to MINOS. 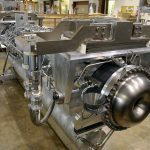 The Deep Underground Neutrino Experiment (DUNE), a planned international experiment hosted at Fermilab, will spearhead future cutting-edge neutrino research. 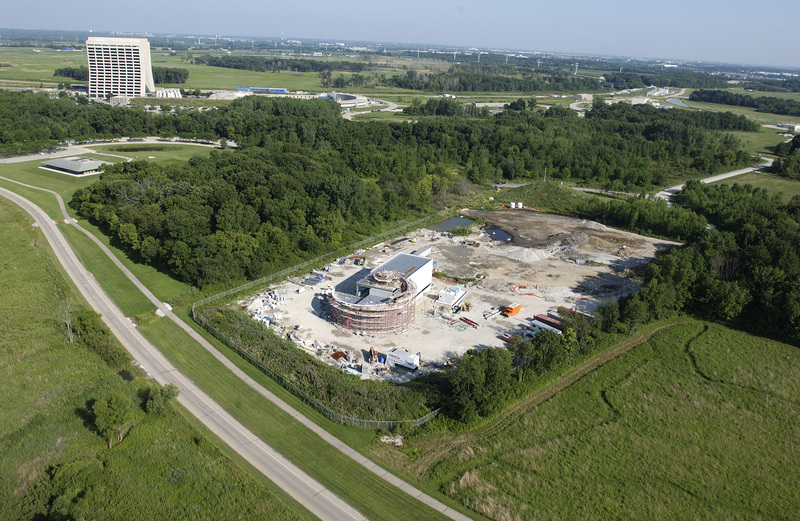 Apart from these three long-distance experiments, Fermilab also hosts the MicroBooNE and MINERvA neutrino experiments. MINOS was approved for construction in 1995. 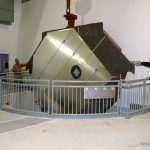 It was built between 1998 and 2005, during which time it began collecting data from atmospheric neutrinos, which arise from cosmic-ray collisions in Earth’s upper atmosphere. 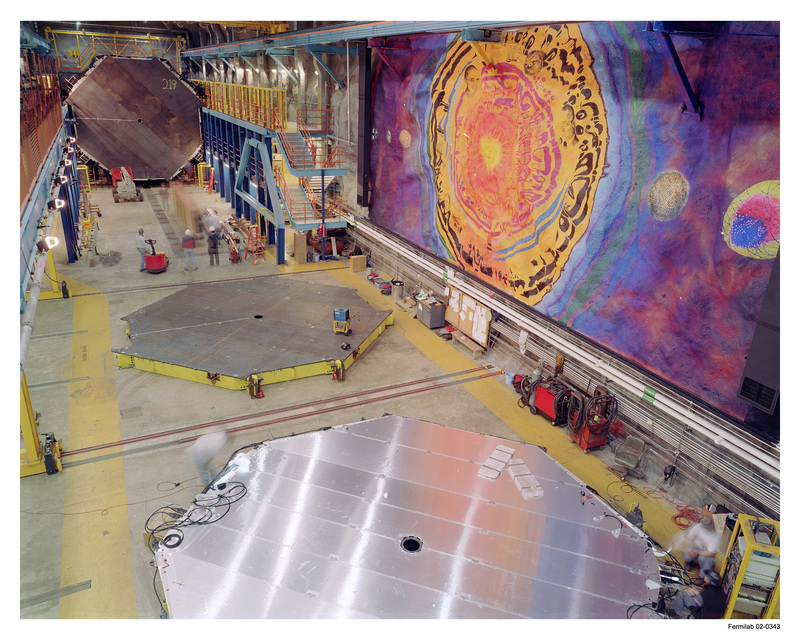 In 2005, Fermilab completed its NuMI (Neutrinos at the Main Injector) beamline. 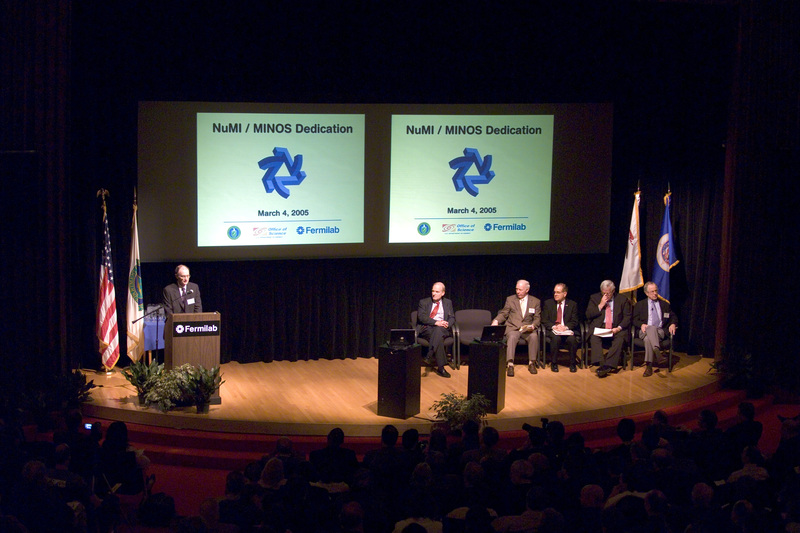 As the name suggests, NuMI provided a dedicated neutrino beam – supplying an abundant, man-made source of neutrinos – for MINOS. 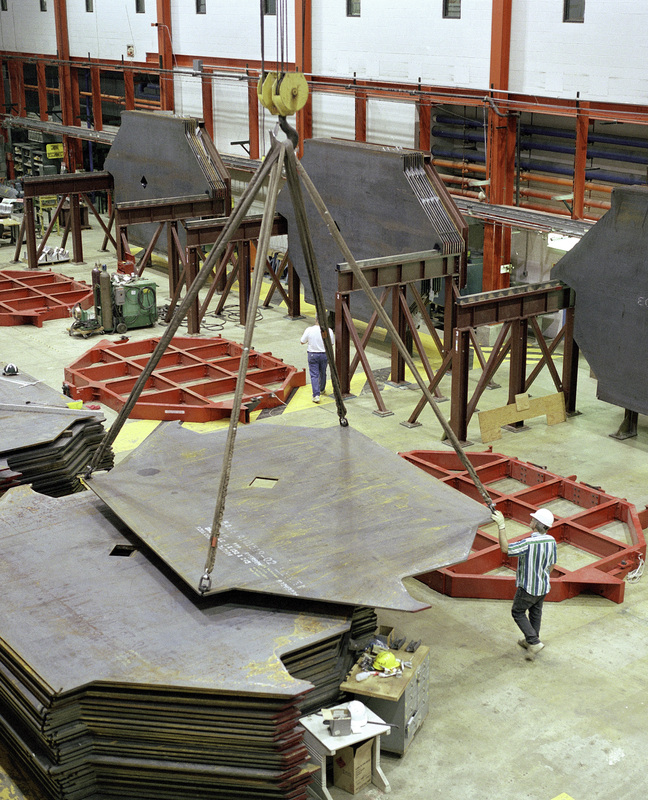 MINOS’ two detectors are massive hunks of magnetized steel and scintillating plastic, stacked in alternating planes and located deep underground. 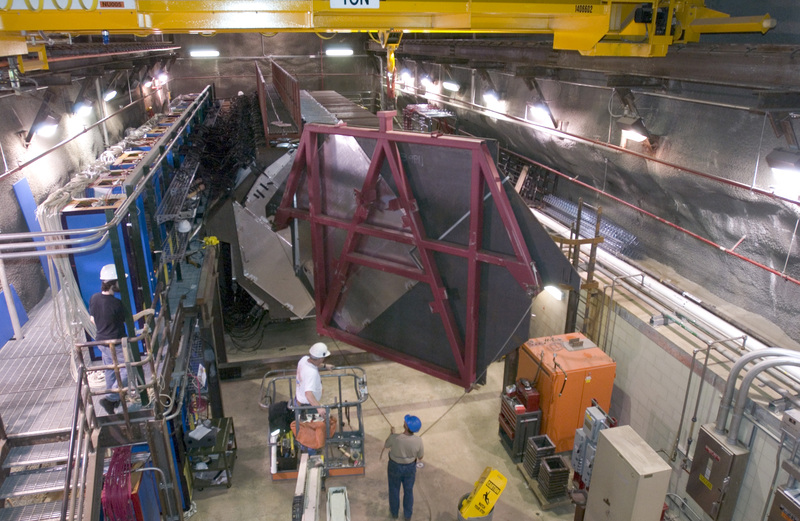 The NuMI neutrino beam struck the 980-ton MINOS near detector, causing the scintillating material to flash with light. That light was translated into a signal the computers could read. 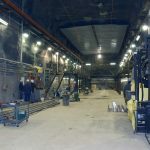 The neutrinos then zipped along to the far detector at Minnesota’s Soudan Underground Mine State Park, which hosts an old iron mine 2,341 feet underground. (The depth helped block cosmic radiation that could confuse the interpretation of the beam data). 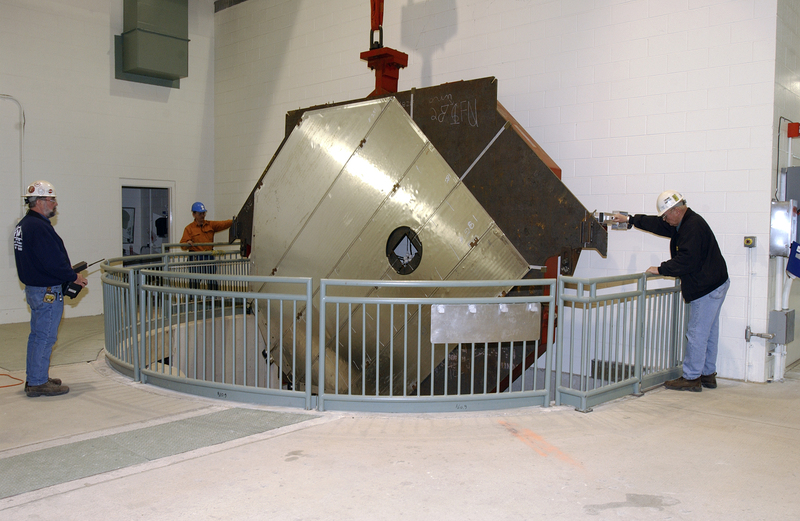 The far detector is even larger — 5,400 tons of metal. It had to be assembled from pieces designed to fit down a four-by-six-foot shaft. 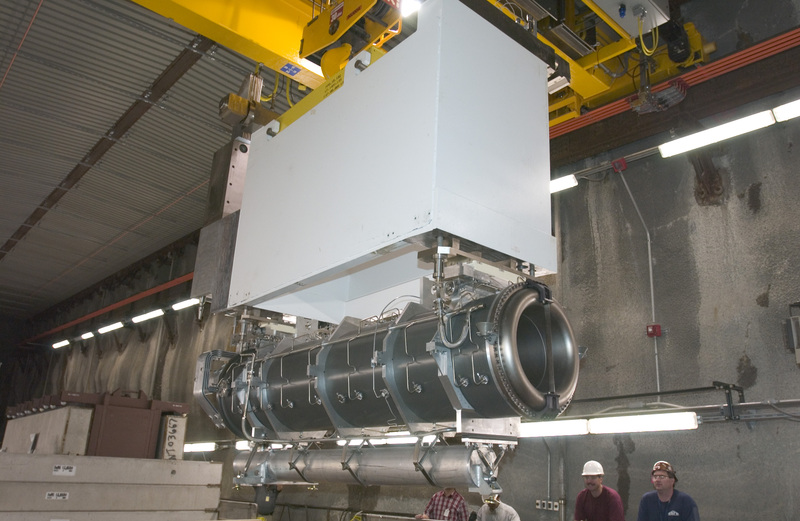 The large size of the detectors increases the likelihood of snagging neutrinos. Neutrinos are highly elusive: even though trillions pass through your body every second, statistically only one will actually interact with your body in your lifetime. 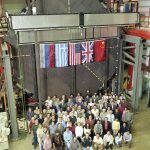 More than a trillion man-made neutrinos passed through the MINOS detector every year it ran, but despite its mass, only around 1,500 interacted with the detector in a year. 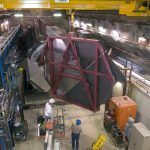 MINOS’ notable accomplishments included highly precise measurements of several quantities key to understanding neutrino oscillations, including one called the mass difference parameter. It also set constraints for antineutrinos and sterile neutrinos, a hypothetical type of neutrino. It even set limits on models of extra dimensions. 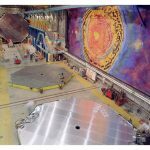 When MINOS was first proposed in the early 1990s, scientists had yet to discover neutrino oscillation, although previous research hinted at it. Those who promoted MINOS’ construction dreamed of making the discovery. “The biggest hopes back then were to actually discover if it’s true, if that’s really the phenomenon occurring in nature,” Lang said. 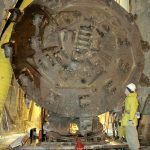 But in 1998, just as Fermilab began building MINOS, scientists at Super-Kamiokande, a neutrino observatory in Japan, announced that they had discovered neutrino oscillation, a discovery that would be recognized with a Nobel Prize in 2015. MINOS soon corroborated Super-Kamiokande’s conclusions with its own results, and it set constraints on parameters related to neutrino oscillations. In particular, MINOS measured the mass difference parameter, which is the difference of the square of the masses of two different types of neutrinos. Because the neutrino is so light, scientists can’t measure their masses directly. They can measure only the difference between them. Over the following years, MINOS honed these measurements. MINOS also branched out into a related area of neutrino research. It was designed only to look for the disappearance of muon neutrinos through their absence in the far detector. But MINOS also took on the challenge of looking for and finding the appearance of electron neutrinos at the far detector. 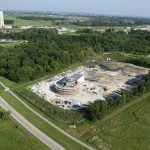 “The fact that we were able to do it at all is, I think, a technical triumph,” said Fermilab’s Rob Plunkett, MINOS spokesperson from 2006 to 2014. Later, MINOS was the first to combine disappearance and appearance beam data along with data from the detection of atmospheric neutrinos. This combination of data led to a highly precise measurement of the mass difference parameter that would not be surpassed for years. 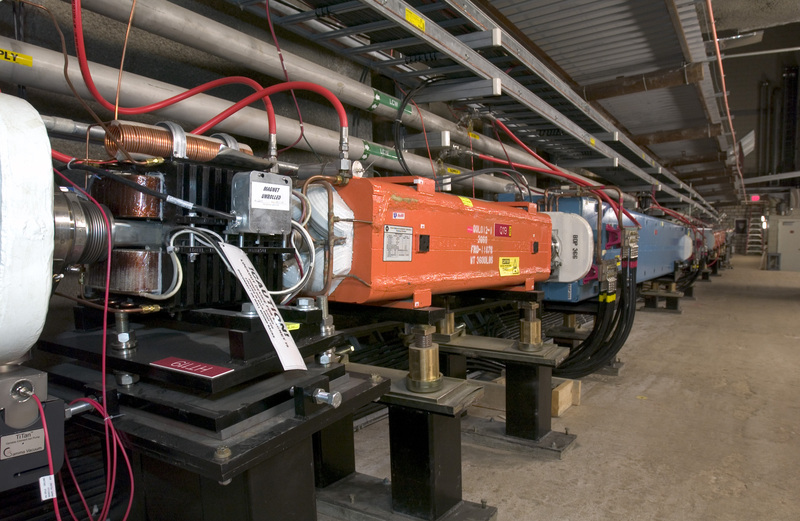 From the same data, scientists were also able to examine neutrinos’ antimatter counterparts. 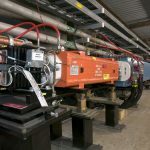 The magnetic fields of MINOS’ two detectors could distinguish neutrinos and antineutrinos, a capability that separated MINOS from many other neutrino experiments. 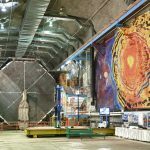 Scientists were able to study antineutrino masses relative to those of neutrinos, and they found them to be very similar, as the science had predicted. 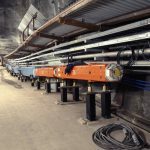 This information would prove valuable to other neutrino experiments. MINOS also moved into more exotic territory. 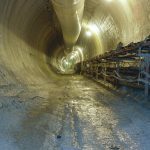 It set constraints on the properties of hypothesized sterile neutrinos, a fourth type of neutrino that would interact even less often than the others. And it set limits on extra dimensions proposed by some models of the universe outside standard physics. Some of these models suggest neutrinos disappear into extra dimensions. MINOS found no evidence to support these models during its run, setting a limit on how large those dimensions could be. MINOS’ second phase, MINOS+, began in 2013. 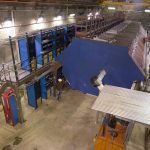 The NuMI beamline provided higher-energy neutrinos, allowing the new MINOS to investigate a different energy region to paint a more complete picture of neutrino oscillation. 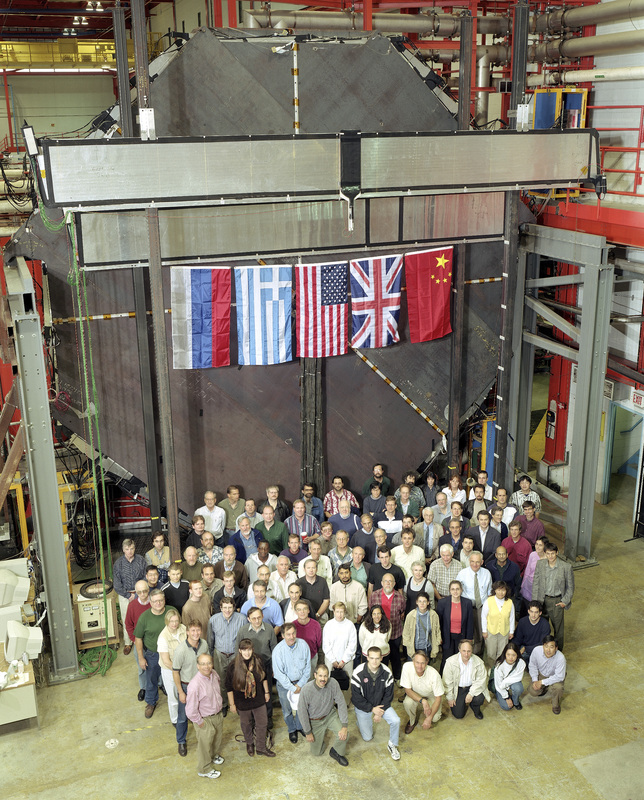 Now that it has completed its run, its participants have moved on to other neutrino experiments. 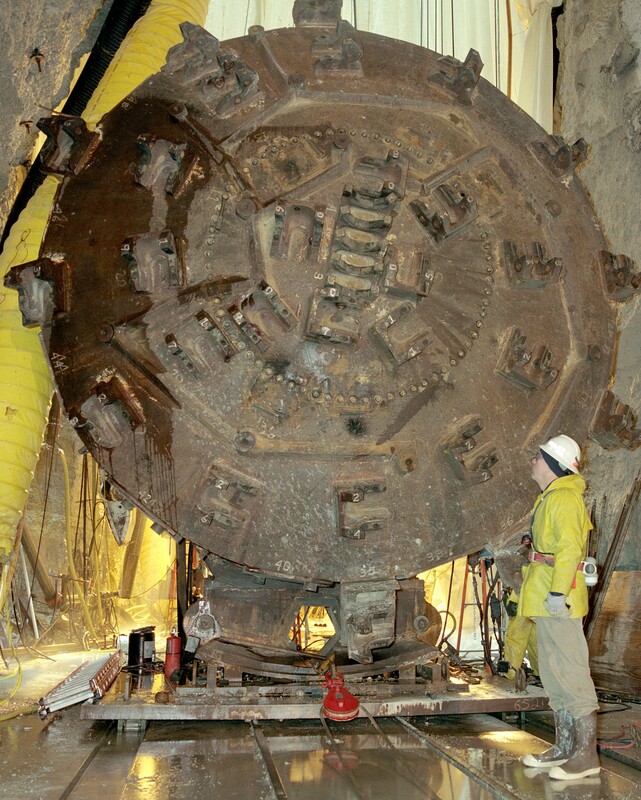 At the Soudan Mine, the far detector is being dismantled to be hauled out of the shaft. “Everything has been moving quite naturally and without big hiccups,” Lang said. 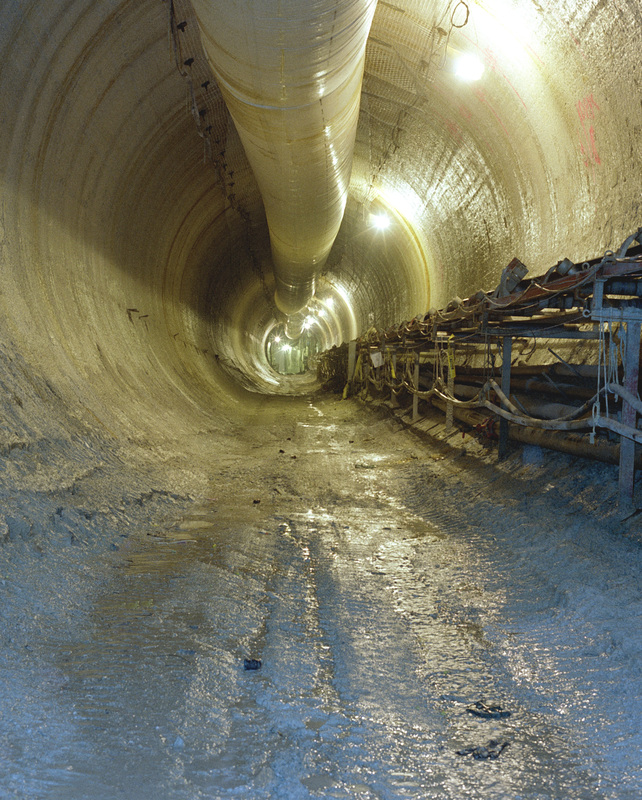 MINOS was supported by the Department of Energy’s Office of Science and was hosted by Fermilab in partnership with the Soudan Underground Laboratory, which is operated by the University of Minnesota in cooperation with the Minnesota Department of Natural Resources. 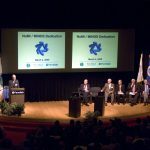 More than 200 people from 30 institutions and six countries participated in the collaboration. Lang and Thomas acknowledged the special contributions of one of the first co-spokespersons, Doug Michael. 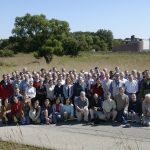 At the end-of-MINOS reception, scientists from various institutions who worked on MINOS reflected on a decade of pioneering neutrino research and looked forward to research to come. At the end of the speech, Lang lifted a glass.